A day later, reports began surfacing of Butler’s trade to the Philadelphia 76ers and by Monday the deal was official. 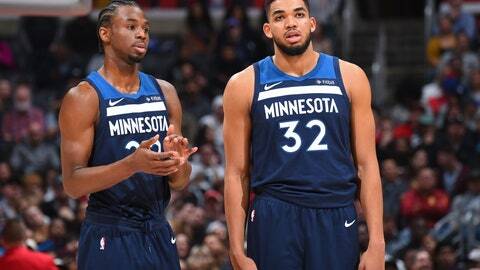 The Wolves are on their second winning streak of the season and trying to dig out of the 4-9 hole that Butler’s trade saga overshadowed. On Monday, Minnesota officially obtained Robert Covington and Dario Saric from Philadelphia and while they didn’t play, the Wolves halted their skid with a 120-113 win over the Brooklyn Nets. Portland’s first win over the Wolves marked the eighth straight time the home team won in the series between the teams. It also started a four-game winning streak but the streak ended Wednesday with a 126-117 loss to the Los Angeles Lakers in the opener of a six-game road trip. Damian Lillard totaled 31 points and 11 assists Wednesday after tweaking his knee Sunday against Boston but Portland’s defense had little answers for LeBron James, who finished with a 44-point night. C.J. McCollum added 23 and is averaging 23.6 points in last six games.